Join the initiative to support the farm nutrient balance tool proposal (FaST) ! This is the first ever European conference for the organic fertilisers industry, and will facilitate networking across Europe of organic fertiliser producers (including composts, digestates, biochars …), organic waste processors / recyclers, fertiliser distributors and experts and advisors to these industries, including applied agronomists, agricultural outreach services, regulators, etc. * note: “Organic Fertilisers” here refers to nutrient products containing organic carbon, not to organic ‘non chemical’ farming. “Putting phosphorus first? How to address current and future challenges”. 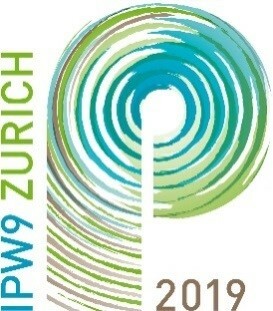 The 9th International Phosphorus Workshop (IPW9) will take place at ETH Zurich, Switzerland, 8-12 July 2019. IPW brings together experts working on phosphorus in terrestrial and aquatic systems, both managed and (semi-) natural, including experts on phosphorus recycling. IPW expects participants from universities and research institutions, government agencies, NGOs and industry from all around the world. IPW9’s objectives are to: discuss concepts which drive research and use of phosphorus in our societies, review progress in knowledge and technology, define questions for future phosphorus-related research and actions. The conference will be structured in five interdisciplinary themes: (1) phosphorus scarcity; (2) optimizing regional and national phosphorus cycles; (3) sourcing phosphorus fertilisers; (4) efficient phosphorus use in agroecosystems; and (5) environmental phosphorus problems. 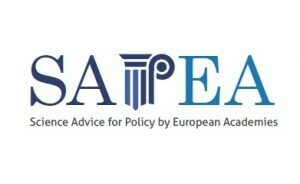 ESPP is collecting support for maintaining the farm nutrient balance tool (FaST) in the European Commission’s proposed text for the next CAP (Common Agricultural Policy). The objective is to demonstrate science and industry support for this initiative, which will ensure and facilitate that all farmers across Europe develop a minimum “nutrient balance” calculation. Currently around half of farmers in the United Kingdom, for example, do not have any farm nutrient balance calculation in place. 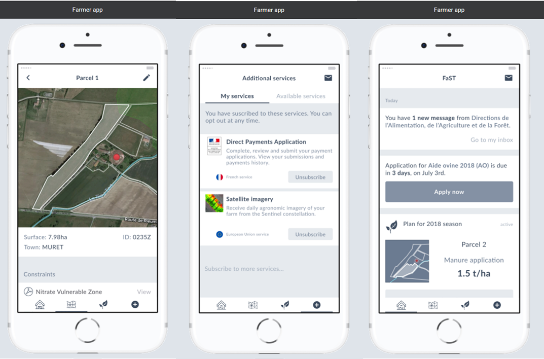 The Commission’s FaST proposal includes development of a smart phone tool, made available to farmers, which will provide information on applicable regulations and enable entry of nutrient data, field by field. Member States and farmers will also be free to use other existing tools to enter their nutrient balance, subject to reporting compatibility (e.g. national nutrient balance systems, farm advisory service tools …). ESPP is asking the European Parliament and Member States to maintain the FaST nutrient tool in the new CAP as a mandatory condition for all farmers receiving EU subsidies. Organisation wishing to support this, please sign the joint statement available at www.phosphorusplatform.eu/regulatory (under “Common Agricultural Policy” and send to , including name of your organisation, logo of organisation, and name and email of person to be included as contact. The European Commission JRC has renewed a call for study data or publications concerning the agronomic effects of processed manure or fertiliser products recycled from manure. This is part of the DG ENVI “SafeManure” study addressing application limits for recycled fertilisers produced from manure (“processed manure” under the Nitrates Directive). The data must include experimental data (pot or field trials, leaching tests … not only review) comparing processed manure / manure recycled product to mineral fertiliser and to a control. JRC is interested in any nitrogen-containing material recovered from or processed from any type of animal manure, slurry or litter, with manure only as input material or manure mixed with other materials (minimum c. 10% manure): including e.g. mineral products recovered from manure processing (such as struvite or other precipitated salts containing nitrogen, ammonium salts recovered from biogas …), “mineral concentrates” (from membrane separation), digestate, compost, dried - pelletised – or limed manure or similar, manure ashes / processed ashes, biochars / pyrolysis materials, etc. Data should address, in conditions relevant for Europe, one or more of the following: nitrogen plant uptake / efficiency / impact on crop yield, and/or nitrogen leaching. For e.g. struvite, data should enable to relate crop yield to nitrogen application (not only to phosphorus). The objective is to compare the agronomic performance and/or potential environmental impacts of the nitrogen present in the processed manure materials to those of mineral nitrogen fertilisers. The mineral fertilisers compared may be the same as the recovered product (e.g. comparison of ammonium sulphate from digester gas stripping with synthetic ammonium sulphate) or may be different (e.g. comparison of synthetic urea with dried manure). Information provided should be in English or and English summary/translation must be provided (e.g. summary and translation of headers of data tables). Full pdfs of literature should be provided. You can check a list of studies already received by JRC at www.phosphorusplatform.eu/regulatory (under “SafeManure documents”), indicating which studies have been assessed to be useable (24 to date) and which have been rejected (and why). 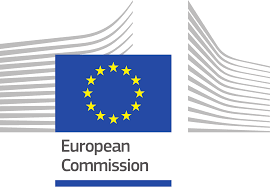 Please send any relevant data by 10th February 2019 to: (unless data is confidential) and we will forward to the European Commission (JRC). A study by medical researchers in Ohio and Texas, with human population data, mice trials including gene expression analysis from the mice’s muscle tissue and adipose fat, as well as in vitro cell tests, suggests that high phosphorus (P) levels in diet may lead to lower physical activity and modified fat metabolism. The human study is based on 1 603 healthy persons in the Dallas Heart Study (DHS-2) cohort. Blood phosphorus levels (serum Pi, not specified if fasting) were correlated to exercise data from a 7 day wrist monitor (after factoring for renal function, body mass index BMI and several other parameters). ESPP comment: this data alone is not convincing because both the blood phosphorus and exercise frequency could be the result of other health or lifestyle factors. The animal study fed normal (0.9% P) or high (2% P) phosphorus diets to adult mice (number of mice used not specified) for 12 weeks, after which they were submitted to a treadmill exercise test and a “metabolic cage” test. High P diet mice stopped running significantly earlier than normal P diet mice (c. -20% time) and also showed lower oxygen uptake. The 12-hour metabolic cage test showed that the high P mice showed statistically significantly less spontaneous physical activity (around -10% less). Serum phosphorus increased significantly (approx. +50%) in the high P diet mice (again, not specified if this is fasting level). Muscle tissue from the trial mice was analysed for gene expression, showing downregulation of genes involved in fatty acid metabolism, whereas genes for glucose metabolism were upregulated. The in vitro tests using C2C12 mouse muscle cells exposed to different concentrations of inorganic phosphate, confirmed similar changes in gene expression. The authors conclude that the high P diet could lead to reduced fat metabolism in muscle cells, resulting in exercise intolerance. Other previous studies have noted possible links between phosphorus diet intake and lipid metabolism (Hazim 2014, Tanaka 2013, Lind 1993, Farghani 2011, Shin 2014, Trautvetter 2018, Gutierrez 2018). In particular, Imi et al., 2018, found (also in mice) that a high-P diet led to lower body fat mass and modified lipid metabolism gene expression. Other studies give somewhat different indications, including that increased P may correlate to reduced weight gain in rats (Nakao 2015, Tani 2007) and to reduced obesity / weight increase in humans (Ayoub 2015, Celik 2011, Obeid 2013, Lindegarde 1977). 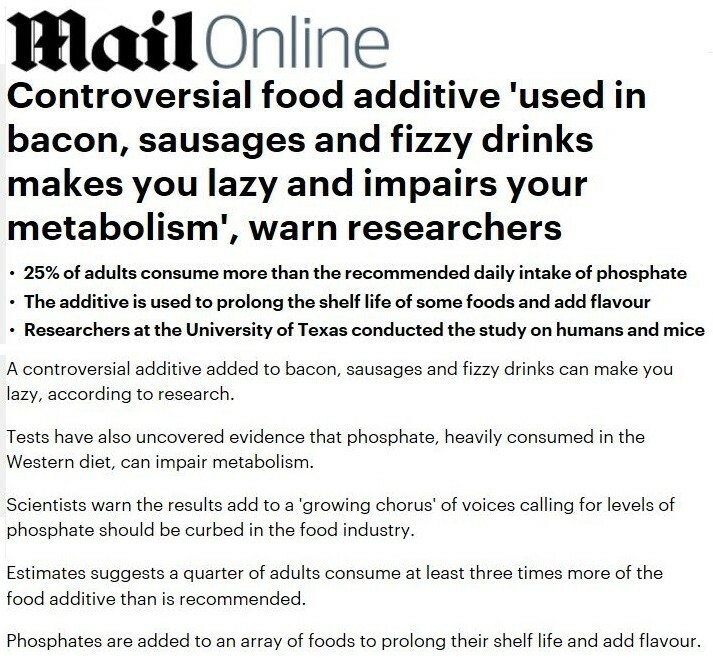 The study has obtained media coverage, suggesting that phosphate food additives may “stop us exercising”, make us sedentary, and “impair metabolism” and referring to other studies possibly linking phosphorus intake to cardio vascular disease (CVD) or kidney disease (CKD). The authors indicate that a quarter of the US population has dietary phosphorus levels three times higher than “recommended” levels (taken from Lee & Cho 2015). This is however misleading: the RDAs are the intake adequate for health, not maximum limits. The European Food Safety Agency concluded in 2015 that no upper safety limit was necessary for phosphorus in diet (see SCOPE Newsletter n°112). The study authors call for regulation to require labelling of phosphorus content in foods. Funded by the Wellcome Trust, with the medical journal The Lancet, the EAT-Lancet Commission has engaged 37 leading world experts in a three-year process to define what dietary patterns would enable to meet UN Sustainable Development Goals whilst optimising human health. 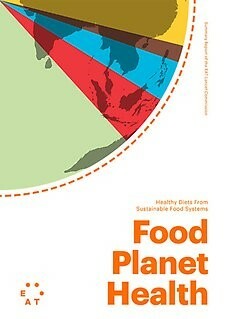 The report is published as a 47 page Lancet scientific journal article (open access) and as a media summary. The report concludes that a healthy diet would include 500 g/day of vegetables and fruit, 230g whole grains, 125g legumes and nuts, with (optionally, and as maximums) 30g/day of chicken/poultry and <20g/day of other meat and/or of fish. Changing to such a diet from current trends (BAU, 2050) would, it is estimated, prevent around 11 million premature deaths per year and reduce greenhouse emissions by around 50%. Mineral nitrogen fertiliser use is however estimated to be only reduced by around 5% and mineral phosphorus fertiliser by 8%. Biodiversity loss would be increased by more than 25% despite cropland use being unchanged: this expected loss of biodiversity is stated to be related to land use changes in tropical countries, but is not clearly explained, nor are proposals put forward to prevent this. The EAT-Lancet Commission estimates 8 million tonnes per year as a maximum sustainable level of “phosphorus application” (uncertainty range 6 – 16 Mt, as P) and 90 million tonnes for nitrogen (N) (range 65-130). It is not specified what is meant be “phosphorus application”, but this seems to mean P in mineral fertilisers only (it is stated that manure is assumed 100% recycled). These limits are based on eutrophication risks related to losses from both agriculture and from untreated sewage, and the higher boundaries are indicated to correspond to recycling of nutrients from sewage to agriculture (presumably because untreated sewage would not then reach the environment). This proposed limit of 8 MtP/year is less than half current world mineral P fertiliser consumption (16 – 22 MtP/y see SCOPE Newsletter n°128, which matches the 18 MtP/y “phosphorus application” baseline for 2010 indicated by EAT-Lancet). It is estimated that a combined scenario of: sustainable diet, reduced food waste and strongly improved agricultural methods would reduce “phosphorus application” from 28 MtP/y (BAU, 2050) to 13 MtP/y and “nitrogen application” from 200 MtN/y (BAU, 2050) to 121 MtN/y, so in both cases use would still be well above the proposed boundary limit. A proposed new European Standard (PREN 45558) for declaration of Critical Raw Materials (CRMs) in “energy related products” (i.e. 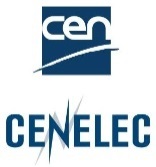 products covered by the EU Ecodesign Directive 2009/125, effectively electrical and electronic equipment) was submitted to vote of CEN-CENELEC (JTC10) on 28 December 2018. The standard, integrated into the existing IEC 62474 standard (“Material declaration for products of and for the electrotechnical industry”) concerns all CRMs listed on the EU Critical Raw Materials List (as updated), both “regulated” CRMs (i.e. subject to specific measures under the Ecodesign Directive) and “non-regulated” CRMs (which include phosphate rock and white phosphorus P4). The standard concerns however only CRMs present in the final product, not process chemicals or emissions during production, so P4 is not concerned whereas phosphate rock could be considered to be covered by content of total phosphorus. Declaration of non-regulated CRMs is not obligatory under the Ecodesign Directive, but the new standards specifies how such CRMs should be declared if companies do so under voluntary schemes such as Ecolabels: how to measure, declaration for different equipment components, etc. The report of a European Commission study of organic contaminants manures shows “significant” presence of veterinary pharmaceuticals (fungicides and antibiotics) in cattle urine, cattle manure, and cattle manure digestate. Nearly 490 different compounds were analysed, including also pesticides, herbicides and personal care chemicals. Of these, some sixty compounds (12%) were detected above quantification levels, with veterinary pharmaceuticals at “significant” levels. Twelve substances were detected in the urine or unprocessed manure, and eleven in digestate, whereas over thirty were found in soils and even more in surface waters in a livestock production region. This report is based on a literature review and data from a pilot sampling survey in Slovakia. It aims to provide a methodology (“compound fishing”) for an EU-wide sampling campaign. Several new publications from the USA provide useful updates on manure processing technologies and on nutrient recovery from manures. A 16-page update summary by Washington State University aims to increase awareness of emerging cattle manure nutrient recovery technologies. Typical data on composition and nutrient contents of (cattle) manure, raw and after solids separation or lagooning, is provided. Information on nutrient form and availability for manure digestate, separated solids, struvite, recovered ammonium sulphate (stripping), vermicompost, showing that these effectively provide macronutrients to crops (nitrogen, phosphorus, potassium) and also micronutrients, as well as improving soil health (biological and physical). A bibliography of studies of fertiliser performance of different processed manure products is provided. A second report summarises economic assessment of cattle manure digestate processing for nitrogen recovery: primary solids separation, fine solids separation (DAF dissolved air flotation), and ammonia stripping (with ammonium sulphate recovery). Assessment was based, for all three stages, on commercial and pilot scale operating installations. For ammonia stripping, trials were one full scale batch installation, one full scale continuous, and two pilot scale tests of process improvements, achieving up to 40% ammonia nitrogen removal in the two stage solids separation, and a further 50 - 75% in ammonia recovery. Total net cost was estimated at nearly 700 000 US$ total over 10 years operation for a 100 000 gallon/day system, but with break even in case of a 17% increase in electricity price (base price 0.065 US$/kWh) or a 30% increase in co-digestion substrates. Data is analysed for an unmanaged 5 meter vegetated buffer strip (VBS) after 57 years (1954-2011) in Manitoba, Canada (Whitemouth river basin, near Elma). The buffer strip has lush vegetation and sediment accumulation. The field uphill from the buffer strip has a slope of 1 - 2 %. Soil phosphorus status in the buffer strip (at 0 - 5 m horizontal distance across the strip) is compared to field soil samples from uphill of the buffer strip (at -1 to -5 m). Radioactive carbon dating of soil samples indicate that soil erosion was occurring uphill in the field with sediment depositing just uphill from or in the buffer strip. Phosphorus analysis showed retention of total phosphorus (P), Olsen extractable P and 0.01 CaCl2 extractable P in the buffer strip, with higher phosphorus saturation nearer the surface, but suggest that the buffer strip soil is not phosphorus saturated (even after over 50 years) and can continue to prevent runoff to the river water. A report by the Austrian Water and Waste Federation, prepared by a group of 19 experts, led by Lukas Egle of Vienna City MA48, assesses the potential for phosphorus (P) recovery from municipal sewage and from animal by-products (ABPs) in Austria, legal and organisation context, and summarises different technological routes currently available. Sewage and ABPs in Austria are estimated to contain 0.85 and 0.45 kgP/year respectively (of which 0.1 kgP/y in Cat1. ABPs), that is in total around 80% of Austria’s mineral phosphorus fertiliser consumption. About 60% of Austria’s sewage goes to 39 sewage works of capacity > 100 000 p.e. and the 197 largest works treat 85% of Austria’s sewage. Nearly half of Austria’s sewage phosphorus is currently recycled to land, mostly after composting or similar, but the expert group expects this proportion to decrease because of concerns about possible risks. The experts consider that the best option for phosphorus recovery is mono-incineration of sewage sludge (incinerators taking only sewage sludge as input, not mixed with municipal solid waste, not cement industry) combined with technical recovery of phosphorus from the ash. Together, this is estimated to add +5% to total municipal wastewater collection and treatment costs. The experts note that for ABPs, Cat. 3 MBM (meat and bone meal) should preferably be recycled to animal feed, Cat. 2 MBM is not produced in Austria, and Cat. 1 materials must be incinerated to ensure safety. They suggest coupling between sewage sludge and ABP incineration to optimise costs. Proposed actions include further investigation into potential of P-recovery from ABPs, scenarios for P-recovery from sewage works of different sizes and definition of best practices for recovery of high-value phosphorus products. The local cities’ authority Mulhouse Alsace Agglomération and Suez have started construction of energy and resource recovery installations for the Sausheim sewage works, which serves nearly 300 000 people. This will include struvite recovery (Phosgreen process) and anaerobic digestion of the sewage sludge, planned to produce 80 tonnes of struvite and 2 million m3 of biogas per year. The bio-methane will be injected into the natural gas network. The digestate will be dewatered by centrifuge and then incinerated. New agricultural techniques based on chlorophyll fluorescence are being tested to assess crop phosphorus status in the field, and so adjust phosphorus fertiliser application. When lacking phosphorus, plants will initially maintain cell cytoplasm levels of inorganic phosphorus, but reduce levels of phosphorus stored in vacuoles and substitute phospholipids in membranes. Plant morphology changes include changed root morphology and reduced shoot development (tillering, which is a key factor for cereal crop yield). Changes in chlorophyll- α (chl- α) fluorescence can indicate phosphorus shortage before such detrimental crop changes occur. In healthy plants, 80% of light energy absorbed by chl- α is transferred into the biochemical pathway, 1-3% is re-emitted as fluorescence and the rest is dissipated as heat. The time-pattern of fluorescence (over the milliseconds after light exposure) is modified by different aspects of plant health, such as leaf age, CO2, pollution, plant diseases and nutrient deficiencies. Frydenvang (2015) showed (using barley) that the pattern of fluorescence emission from a leaf from 0.1 milliseconds to 1 second after controlled light exposure is specifically modified under phosphorus deprivation (“OJIP” curve). Key information for phosphorus status is the percentage of biochemical light conversion (photosynthetic efficiency), baseline fluorescence, I-phase of OJIP curve and time to maximum fluorescence. Unfortunately, this requires that the leaf is first dark-conditioned for around half an hour. A portable device has been developed to do this, including leaf clips which ensure darkness (25 minutes), a hand-held device which fits the clips and provides controlled LED light into the clip and measures the fluorescence release pattern (over 3 seconds), and an app which analyses the information and transfers to GPS-linked smartphone (SpectraCrop www.spectracrop.com). This can thus give measurements of plant phosphorus status, in the field, within half an hour, easily multipliable in different sites in the field (using a number of leaf clips). This system has been tested on maize, tomato, wheat, and soy bean and because measurement is of the electron transport chain in photosynthesis, which is conserved across plant species, the approach is expected to be valid for most crop species. Device development is still underway and units are only available for controlled testing, currently at 5 000 € ex-VAT. Pyrite (iron disulphide FeS2), a naturally occurring or manufactured mineral, as a substrate for constructed reedbed wetlands (Phragmites australis), was tested for nitrogen (N) and phosphorus (P) removal. 3 m2 systems for 3 years, using river water spiked with nitrate and phosphate: influent COD 10 – 70 mg/l, NH4-N 5-7 mg/l, total-N 10-20 mg/l, total-P 2-6 mg/l. Hydraulic residence time was 72 hours. Total phosphorus removal was nearly 90%, with residual discharge around 0.25 mgP/l, and total N removal around 70% with discharge c. 4 mgN/l. COD removal was around 50%, possibly low because river water COD is more stable than wastewater COD. A limestone substrate system tested in parallel showed reasonable P-removal for the first year (c. 60%) but near zero removal after that, because the limestone phosphorus adsorption capacity was saturated. Pyrite had no negative impact on reed growth compared to the limestone substrate. The main P forms in the pyrite after operation were iron and aluminium compounds. The authors also present analysis of the bacteria present in the pyrite wetland substrate. They conclude that pyrite provides an effective reedbed substrate for water treatment, compatible with COD removal and reed growth, and enabling both nitrogen and phosphorus removal over prolonged operating periods. A scientific consortium contracted by the European Commission, as part of the EU Scientific Advisory Mechanism, has published an ‘Evidence Review Report” on microplastics, concluding that “little is known about” microplastics in soils (sources, risks), but that sewage biosolids recycling to agriculture may be a significant source. Overall, for all environmental compartments (water, water sediments, soils …), the report concludes that “ecological risks are very rare at present” (with possible risks in some locations in coastal waters and sediments). It also concludes “no evidence of widespread risk to human health” at present, noting that microplastics go “in and out of” most organisms. The report suggests that if emissions of microplastics are not reduced then ecological risks “may be widespread within a century”. Concerning soils, the report notes that analysis techniques are lacking and that there is very little data on impacts on soil organisms, on crop yield (including via impacts on soil properties), nor on the food chain, and so that further research is needed. The US National Academy of Sciences, Engineering and Medicine “Consensus Report” on science breakthroughs to advance food and agriculture places “Increasing nutrient use efficiency in crop production systems” at the top of the list of nine key research challenges. Other challenges identified are: reducing soil loss and degradation, crop genetic diversity and livestock genetics, water use, precision livestock production, prevention of plant and animal diseases, foodborne pathogens and reducing food loss and food waste. Opportunities identified are: transdisciplinary research approach, in-field sensors and bio-sensors, understanding soil microbiome and livestock micro-organism biomes (including their roles in nutrient cycling). The need for applied research, cooperation with agricultural advisory services, with industry and with stakeholders and policy makers is emphasised. Research areas proposed to improve nutrient use efficiency are: sensing technologies, data analytics, crop breeding, land management and better understanding the soil microbiome’s ability to fix nitrogen and to improve nutrient availability.